Syeda Wasri, the most influential Muslim woman in British Politics famously said that waiting for Muslim politicians in Westminster was like waiting for bus. You wait for long and then suddenly 3 arrive at the same time, all were children of bus drivers! She was referring to Sadiq Khan (Mayor of London), Saqib Javed (Home Ministers) and herself of course. Sadiq Khan continues to have rating of the most credible of all UK politicians. He strong stance of social housing instead of penthouses and being a vocal critic of gender discrimination has won him strong support of common people not only in London but across UK. Being London Mayor his interest obviously remains getting the best deal for Londoners. However his at clear and honest stance over Brexit and being an unapologetic critic of Trump policies has won him hearts as people increasingly see him as the most credible person in British Politics. 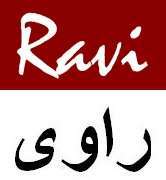 His recent visa to India and Pakistan also showed his popularity as a leader who is trusted and loved by masses. Hailing from a council flat, Sadiq Khan has never shied away from his roots. Such background and his upfront approach has been instrumental in his popularity as the common man educated as state schools can relate to him far more than Eton and Oxbridge educated political class. Being a Muslim who fasts but craves for coffee has endeared him to both Muslims, while his stance on gender pay equality and LGBT has won him fans as he reflects hinself as an ideal modern Muslim persona. 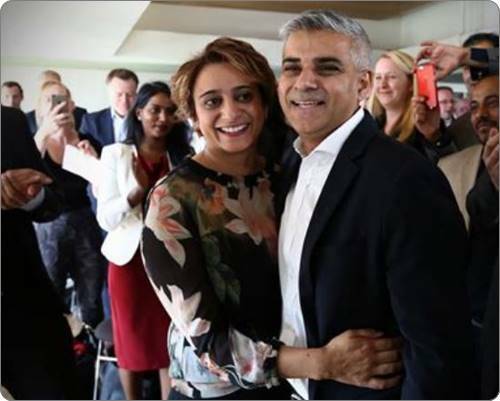 Sadiq Khan is married to her sweetheart from school days, Saima Khan, and famously dated at McDonald’s. As someone with asthma , his focus on cutting pollution in London is all natural and well appreicated by most Londoners concerned with the rising affect of pollution on their lives. It is encouraging to see Sadiq Khan within the top league of Labour and Saqib Javed as the most important minister in Tory cabinet, as two hardworking Muslims strive as model Muslim UK citizens to contribute to Society and present a positive image of Muslims across the world.